This week, my sports physiology students have begun tackling their major project for this trimester: a group assessment investigating predictors of 2,000 m rowing ergometer performance. 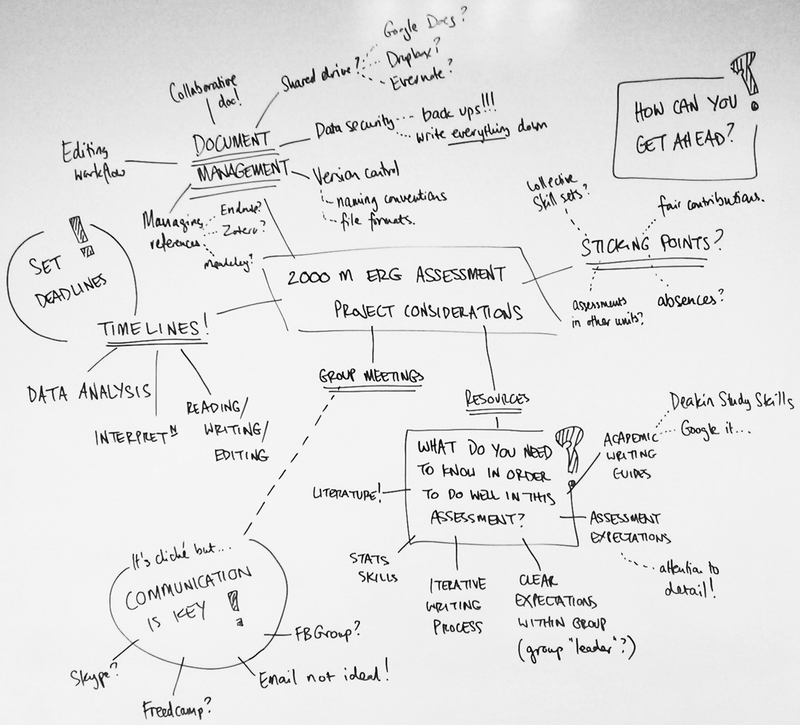 Here’s a quick mind map that I created based on their group discussions, outlining project management considerations. A lot of these considerations are very relevant to my workflow as a PhD student, too!